Perfect gift for the special someone in your life...great holiday and Valentine's Day gift item! 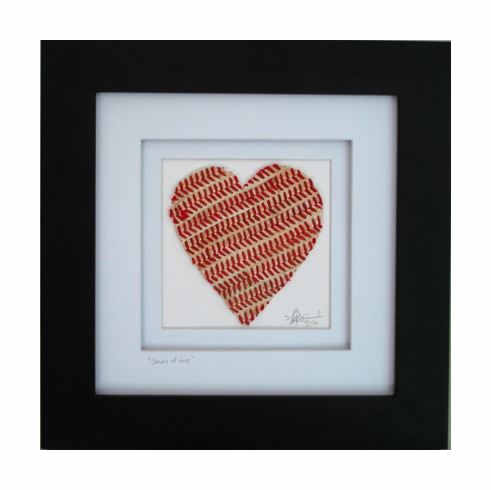 Seams of Love Baseball Heart original artwork features a 4" x 4" heart which is made with actual baseballs. All original artwork is hand-made, hand-signed and hand-numbered by the artist, Nathan Rueckert. Each baseball heart is mounted on a white mat board. White double mat inside 10" x 10" black frame.